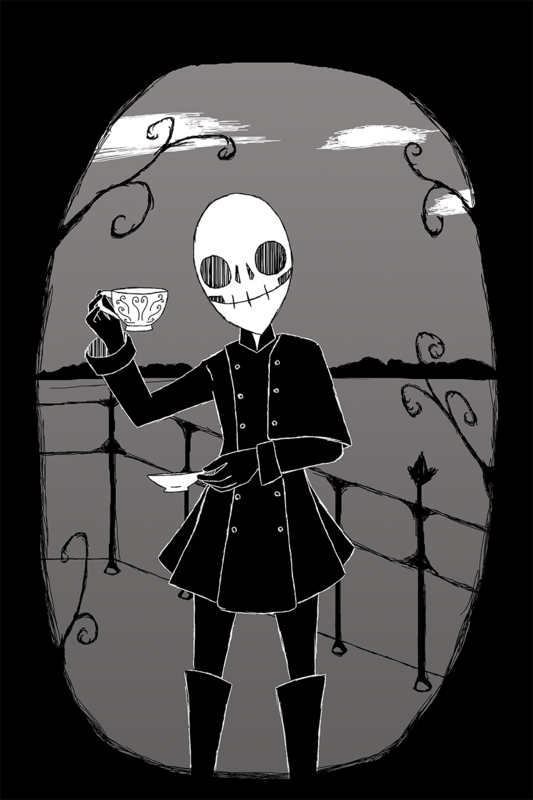 An illustration of a Skeleton drinking tea. I am not entirely sure how a skeleton is able to drink anything, but she's found a way. The art style is inspired by Jhonen Vasquez and Tim Burton.